Karbon provides complete visibility, but if you want to keep some emails private, there are steps you can take to ensure this. 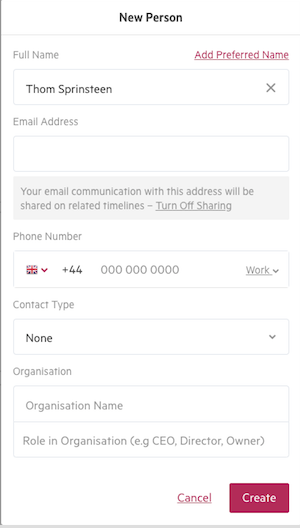 When you create a new contact, your emails with this person will have the Auto-share setting turned on. With this setting turned on, any emails between you and a saved contact will appear on their timeline. If you do not wish to share your emails with specific contacts, be sure to turn off Auto-sharing. Your communication will remain private, unless you choose to change this from the black bar that will remain at the top of the contact’s timeline. If you create a contact your email communications will automatically be shared on related timelines. If you would like to remove a specific email from a timeline (for example, you are having a non-work related conversation with a client), you can remove it by clicking the "x" on the second tab of the information tray.